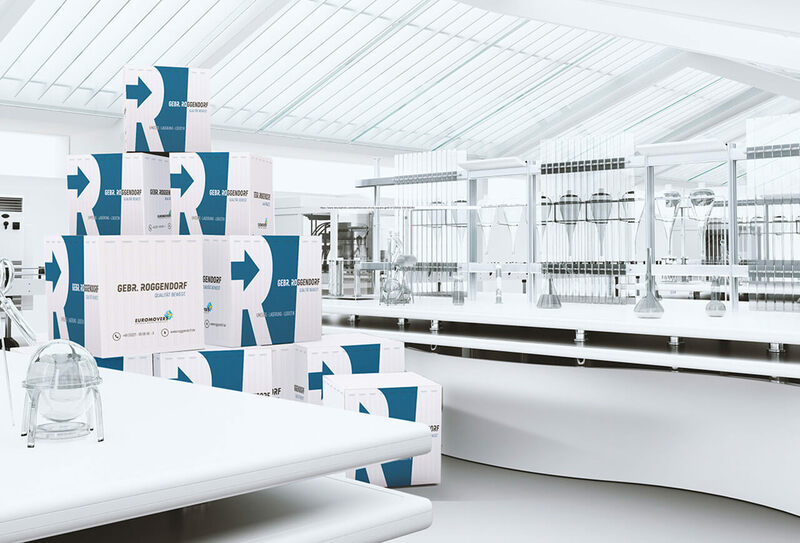 Lab relocation | Roggendorf – Quality moves. Caution alone is not enough when dealing with the transportation of sensitive equipment and dangerous goods. Our experts know the strict guidelines that apply and will implement safe packaging and transport procedures – even when dealing with clean room requirements. We have special packaging materials for lab equipment, materials and other supplies in every shape and size. Upholstered roll containers with flexible compartments, antistatic packaging, shock-proof cases with foam inserts, impact and acid-proof plastic containers – we have everything to cater to your individual needs. We also move refrigerated or frozen goods. Play it safe with Roggendorf. We regularly carry out professional laboratory relocations and move medical equipment for well-known customers; and we will be happy to take on your project, too. With special packaging and bespoke transport, even the most sensitive devices, large machines, laboratory equipment and hazardous substances can be moved exactly as needed over long distances. On request, we can offer you special insurance, use special equipment, consider other transport indicators and employ data loggers for a smooth relocation process. Scientific laboratories, X-ray machines or MRT systems – we have the right transport solution for you.